Relive the magic of a Greengate Christmas! Greengate Mall Revisited is dedicated to the preservation and commemoration of the historic landmark that once stood in Greensburg, Pennsylvania. Our extensive resources include a comprehensive history section, an alphabetical listing of mall tenants, memorabilia items and a large collection of over 225 pictures that date back from the mall's construction to its demise. Please feel free to visit our guestbook to view and share comments. Any questions or suggestions should be directed to Gary Nelson, the Webmaster of the site at neurodistortion@aol.com. Greengate Mall, with its illustrious history, still captures the interest of so many and lives on in the memories of those who worked, shopped and frequented it. Lost Westmoreland Media Group founder Gary Nelson talks about why he created Greengate Mall Revisited for a story in the Tribune-Review. Over the course of the past several weeks, we've added over 20 new photos to our website. Some of these photos can be found on the Christmas, Easter and Halloween photo albums. In addition, the Memorabilia page has been completed with additional photos and information. Finally, we want to thank all of those who participated in our latest web poll, which received an overwhelming response. Significant improvements to content detail and structure have been made to the Changes Through Time page. In addition, we are getting close to announcing the voting results of our latest web poll, so those who still haven't voted yet are encouraged to do so. A new Facebook page on Greengate Mall Revisited has been launched in response to technical changes that will affect the existing group on the social networking website. Existing members and non-members alike are encouraged to add our new page by clicking here. Anyone else who isn't a Facebook user but want to join our page, then click here to sign up for a free account. We regret to inform our visitors of the passing of Len Stahlberg on April 6, 2011 at the age of 79. Stahlberg was the long-time president of the Greengate Mall Merchants Association and owner of charter tenant Junior Shoe World, later Kickers for Kids. We would like to extend our deepest condolences to his family and friends during this difficult time. Click here to view obituary. We've doubled the size of our holiday photo collection with the addition of 11 new photos dating back to 1995. The Christmas photo album has also been redone to allow easier navigation. Likewise, aesthetic improvements have been made to the Photos page. Finally, if you are a new or regular visitor to our website, then please feel free to register as a site member of Greengate Mall Revisited by clicking here. It's completely FREE and usually takes less than a minute to join. Enjoy exclusive privileges such as our Guestbook and Forums in addition to other special perks available only to our members. General improvements to our website continues to be in full swing with the debut of our newest page, Film Repository. 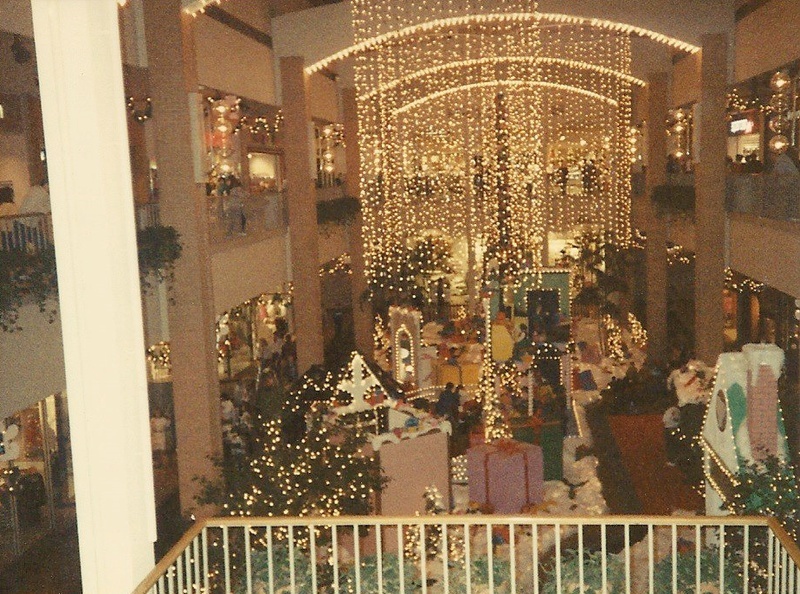 This page features a collection of video clips and miscellaneous footage of Greengate Mall. Anyone who is willing to contribute additional material may contact us at neurodistortion@aol.com. We are pleased to introduce our new and improved News and Updates section. This feature will enable our visitors to interact and share information with other people in a blog setting. In addition, more changes are on the way this month, including additional photos. Happy 2011!